Artist work categories - Oil on canvas, Aquarelle, Ceramic Sculpture. 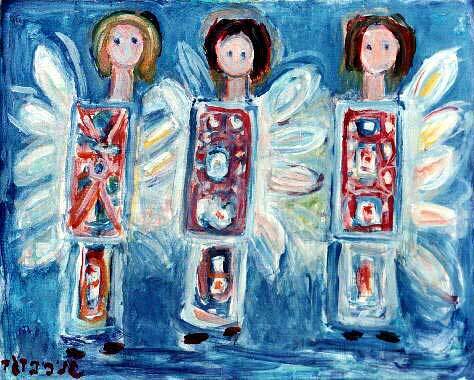 "Angels" 1998 Oil on canvas. 65x81 cm. 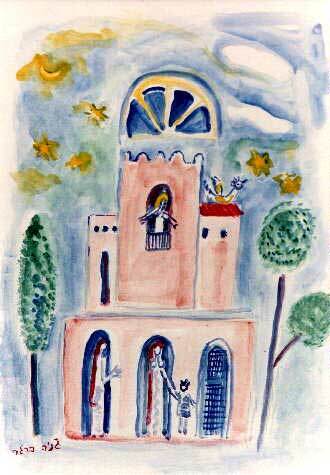 "Houses in Zichron" Aquarelle. 70x50 cm. 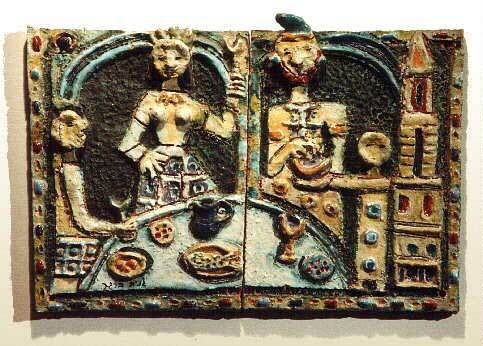 "Ester's Feast" 1963 Sculptural Ceramic Relief. 53x35 cm. 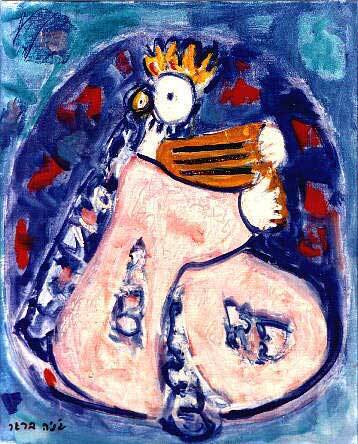 "King David " Oil on Canvas. 61x50 cm. 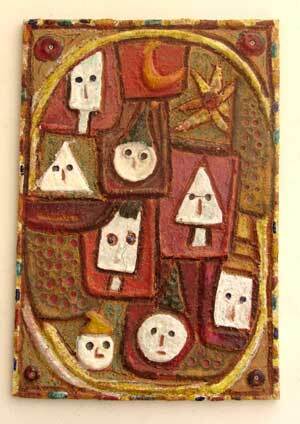 "Clowns" Sculptural Ceramic Relief. 50X80 cm. 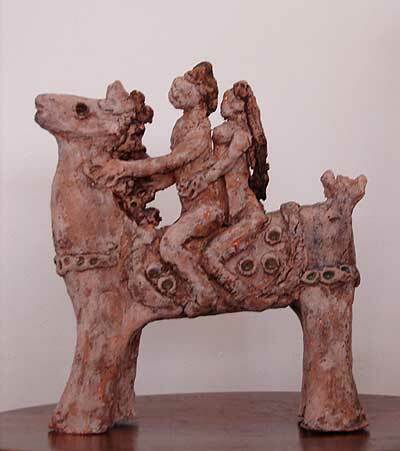 "A couple on a horse" Clay, 30 cm. h.
Mrs. Berger was born in Charkov, RUSSIA. Genia studied at the Royal Art Academy in Berlin from 1930 to 1933. Later on, she continued her training in Paris. was to embrace in her painting, drawing and work for the theater. represented Israel at the Sao Paolo Biennale. who look at it. Genia Berger deserves all the laurels she has received. Mr. Ilan Bartel, Manager of estate.